In t his world the alphabet is of many uses, reading and writing, numbering and grouping, and classifying. People use from A to Z to classify each other, and of course there is the famous form of A & B that can’t be even described for surviving till now. Most of my life problems comes from trying to fit either where I want or where people originally wants me to, it never worked for both even when I try hard or with doing nothing at all but I kept trying. I’m a kind of person that generate hope just as breathing. With nothing working and being the loser people put me as, I developed hate for being told to do that, to be that or any form of orders specially for being a girl in an unfair middle-eastern society. So far in life, I tried and mostly failed, lost a so little I gained, walked but never moved. It kept me wondering if there’s actually something too wrong with me?!! There must be a reason why I reached such a dead-end point!!! Questions grow bigger day by day, yet without satisfying answers. I just thought it might be useless to write that I’m lost, that I feel myself the outsider but something just changed at some point. I’m not an alphabet person, me absolutely unclassified. I was never and won’t ever be anything they want me to be or to fit in. I’d always be the weirdo, outsider or whatever it’s they call, I’ll just be myself. A Class Zero Student, is perfectly fine with me. I’d be anything I want for I want it not forced to be not just accepting it all. Class Zero, is unclassified. 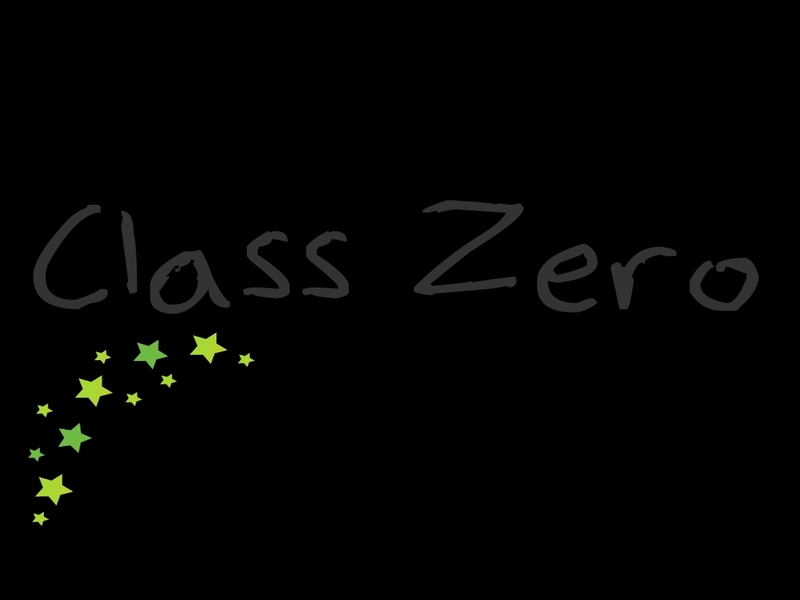 I’m proud to write Class Zero (articles/stories) from now on. Class Zero, is an answer and a way out of many problems. Class Zero, is you is your perfect shapeless form just like air you’ll fit yourself in your way wherever you go whatever you do. In your own way, unclassified. I’m a zero class person, & proud student zero.